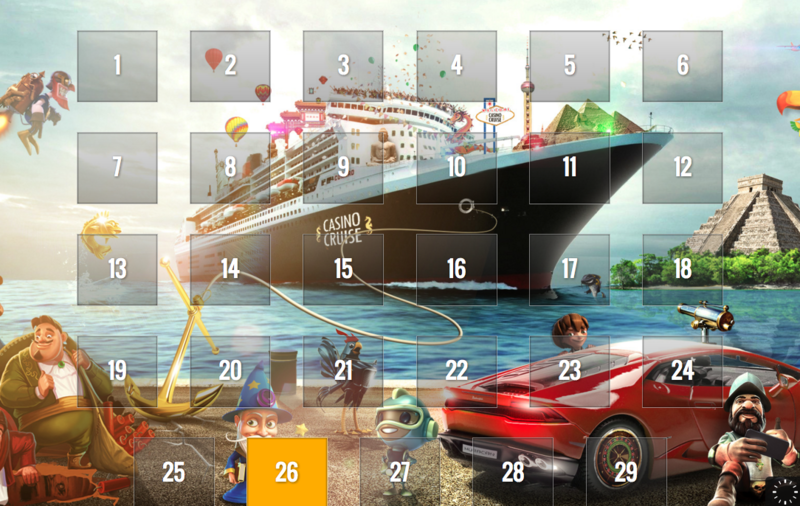 Casino cruise is a nautically themed online casino, which is wholly owned and managed by EveryMatrix Software Ltd. and regulated by the Malta Gaming Authority. It’s clear from your first interaction with the website that it’s a fairly recent build, due to it’s sleek graphics, interactive ‘anchor’ chat sidebar, and smart tiled organisation of the games. The top toolbar and category tabs beneath contain pretty much everything you need and it’s where you expect it, so when it comes to navigating the website, it generally feels intuitive. The registration process is extremely simple – it consists of two windows with relatively basic information. Following this, you are immediately greeted by a pop-up requesting you to claim the current promotion and to deposit funds to receive the 100% bonus on all deposits up to £1,000 (UK). 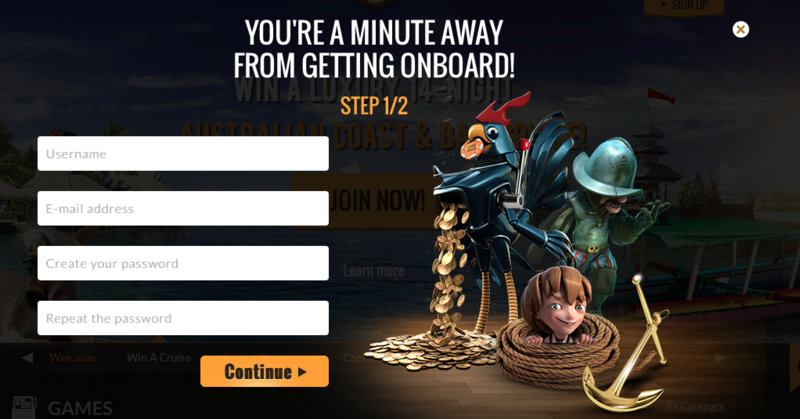 Aside from the initial 100% matched deposit welcome bonus, Casino Cruise offers a great range of additional promotions. This includes enticing deals with daily rewards and spins, competitions to win cruises and concert tickets, and additional deposit bonuses. Depositing funds is equally hassle-free with a fairly extensive selection of deposit methods available including E-wallets such as Skrill and Neteller, Mobile Payments, Bank Transfers and of course Credit / Debit Cards. The games on offer at Casino Cruise are all neatly divided and presented, and include a large variety of Table games, Video Poker and Slots, Classic Slots, Jackpot Games and a whole host of others. The traditional table games such as Roulette and Blackjack offer pretty much what you’d expect – solid games, with a feel and concept you’re used to. However, the video slots such as “Guns N’ Roses” and “Drive: Multiplayer Mayhem” offer an exciting and extraordinary user experience. “Guns N’ Roses” in particular feels immersive, with it’s numerous game modes, authentic soundtrack and pretty visuals. The newly added “Live Casino” is clean and well executed, with a good range of table games to play. Finally, Classic Slots such as “Lucky 8 Line” felt authentic, with clunky bandit style audio, and a satisfying output when winning. All recently played games are also compiled in the “My Home” section which is great for jumping straight back to what you were playing after depositing. “The Captain” also suggests games based on your interests, which is useful too. Overall, it’s difficult to fault Casino Cruise. Their website looks great and functions well from a user perspective, the welcome bonus scheme is genuine and enticing, and there’s a good variety of slick games on offer. Casino Cruise takes security pretty seriously with SSL encryption used for account balances and payment security meeting the PCI compliancy standards. One possible critique is that occasionally loading times for games were slightly tedious, but if this is the only problem you find with an online casino – you’re probably onto a winner. This is a great online casino, however, the signup wasn’t as easy as described here, since my browser crashed several times and I had to switch between two different browsers to complete the registration.